Constitution Day is a public holiday in Slovakia. 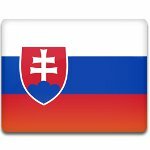 This holiday celebrates the day, when Slovakia adopted constitution in Bratislava on September 1, 1992. Slovak Constitution was prepared very fast in 1992 on the basis of the Czechoslovak Constitution of 1920. It was passed by the Slovak National Council on September 1, 1992 and signed on September 3, 1992. It came into effect on October 1 and in some parts of Slovakia on January 1, 1993. Constitution of Slovakia consists of the preamble and nine parts, that are divided into chapters and, subsequently, into 156 articles. Since the day of adoption, the constitution was amended five times. One of the particular features of the Slovak Constitution is its ecological orientation. One part of the constitution is dedicated to the ecological issues in Slovakia and ecological rights of the Slovaks. Various fairs are traditionally organized on Constitution Day in Slovakia. Everyone can buy handmade souvenirs. Music festivals and concerts are organized across the country.